Gender Summit 8 North and Latin America, April 28-29 in Mexico City, has just announced a call for abstracts for presentations. The theme of the GS8 is Science without borders: Improving impact by interlinking gender, geographic, disciplinary and educational dimensions. You can find out the topics of interest for submissions on the GS8 section of the website. The deadline is February 15, 2016, 23:59 p.m. UTC/GMT. His statement could easily apply to gender issues in science. 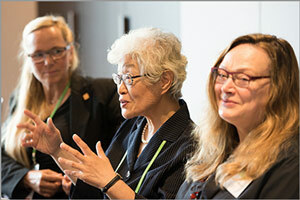 The latest in the series, Gender Summit 7 – Europe (GS7), took place in Berlin November 6 and 7. 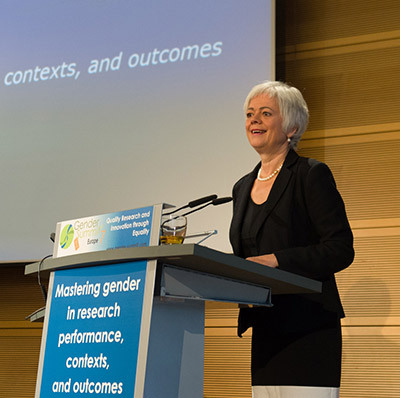 The theme – “Mastering gender in research performance, context and outcomes” – conveyed the evolution of the Gender Summit mission since it was created in 2011 as a platform enabling scientists, gender scholars and policy makers to jointly examine evidence and reach consensus on actions needed to prevent gender inequality and bias to affect quality of science knowledge and practice. 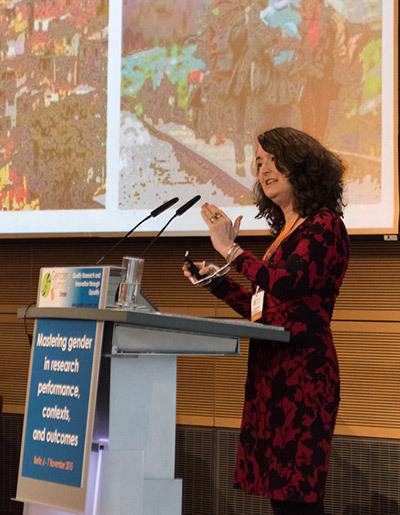 From the start, the compelling nature of the evidence presented at each Gender Summit did make people sit up and take notice, not only in Europe but other global regions as well. The Gender Summit 7 also demonstrated, more than its predecessors, that the “getting up and taking action” part was also happening. Here, I want to highlight examples representing important milestones and benchmarks of our Roadmap for Action, developed in 2013 during the Gender Summit 3 – North America, led by the National Science Foundation. Importantly, whilst the Roadmap identified who the responsible stakeholder groups are, GS7 has shown that others should be added, specifically science publishers and those involved in the implementation of the UN Sustainable Development Goals. Among the most inspiring presentations were the examples of actions initiated at the government level, specifically in Germany, Sweden, Nordic countries and Wales. 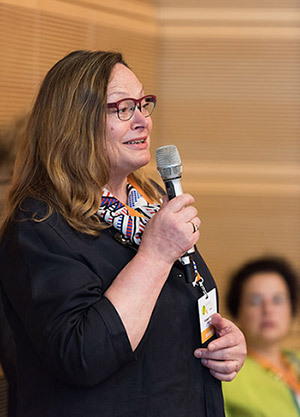 The bar was set high with the opening keynote delivered by Cornelia Quennet-Thielen, State Secretary at the German Federal Ministry of Education and Research. There was a special reason this Gender Summit took place in Berlin, namely the law passed in Germany in 2015 that introduced new quotas for women on boards coming into force from 2016. The State Secretary spoke about Germany’s plans for future research and the high expectations for the role women will play in these plans. A different government-level initiative introduced at GS7 concerned the actions agreed to by NordForsk, the ministerial alliance of Nordic countries. Prof. Marja Makarow, Vice-President for Research at the Academy of Finland and Chair of the Board at NordForsk, spoke about the Nordic cooperation on gender equality measures. They were needed, she pointed out, because although the Nordic countries lead in most statistics on gender equality, 80 percent of their professors are men. The action that caught a lot of attention was one that was being pursued in Sweden involving mainstreaming gender into all government agencies. The scheme was described by Lillemor Dahlgren, Head of Operations at the Swedish Secretariat for Gender Research at the University of Gothenburg. Lastly, Prof. Hillary Lappin-Scott, Pro Vice-Chancellor for Research and Strategic Development at Swansea University, reported on the Welsh Government’s efforts to establish a “roadmap” for Wales by setting up a Task Force in 2014 to identify concrete actions that were needed. Their report will be released in January. 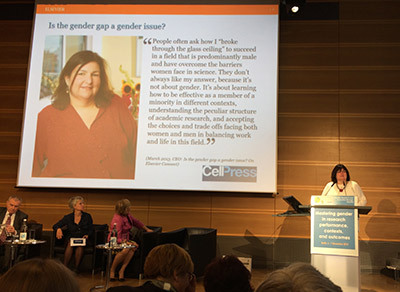 Another compelling keynote, delivered by Dr. Emilie Marcus, CEO of Cell Press at Elsevier, focused on the role science publishers can play in advancing gender equality in science. She explained how, through their continued association with Gender Summit from the first event, Elsevier colleagues have come to realize that they too can contribute to change by addressing gender issues within their own organizational structures and by supporting gender equality in the science landscape, for instance, by promoting gender balance on editorial boards, addressing unconscious bias in peer review, and attending to the gender dimension in research design in their editorial policies. The publications authored by only females are the most internationally collaborative. Mixed-gender research teams are more likely to produce interdisciplinary publications compared to male-only or female-only teams. Publications for which the majority of the authors are female focus on different research topics compared to male-only publications in a gender balanced research area. 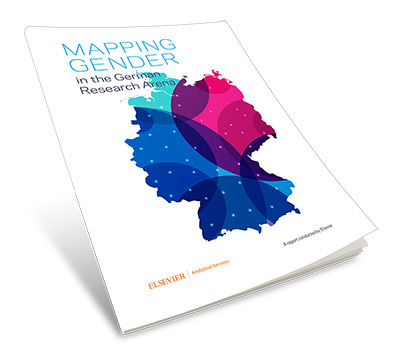 One persistent topic of each Gender Summit event concerns the role of research funders. For the European events, this tends to be focused on Horizon 2020, but also on actions taken at the national level, for example, by the Research Council of Norway. At GS7, Prof. Jackie Hunter, CEO of the Biotechnology and Biological Sciences Research Council (BBSRC) in the UK, reported on the specific actions the council has taken recently. 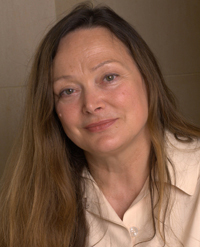 These include gathering performance statistics and feedback from the institutions BBSRC funds; setting targets for women of a 30 percent application rate for grants by 2017, or at levels aligned to the eligible populations in relevant departments/institutions; working with key university partners to overcome reasons for the lack of applications from underrepresented groups; carrying out pilot interventions to increase applications from women; and providing unconscious bias training for all internal BBSRC staff. 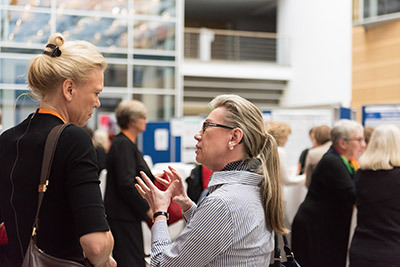 An important example for the research-performing sector was the presentation by Prof. Simone Buitendijk, Vice-Rector of Leiden University and Chair of LERU Gender Equality Group, who highlighted the report by the League of European Research Universities (LERU) showing the need for greater gender awareness and responsiveness in research and why it’s necessary if science is to provide knowledge that can address societal challenges. Also of interest was the discussion of the benefits and risks of using gender quotas in science as a solution to the problem of underrepresentation of women in high-level positions. 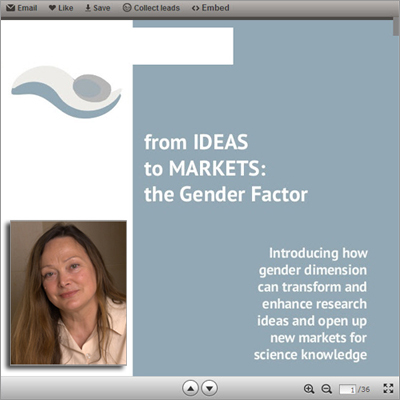 This was explored through the presentation by Dr. Gerlind Wallon, Deputy Director of the European Molecular Biology Organization (EMBO), who reported on the results of the research project funded by the Robert Bosch Foundation and EMBO to identify the pros and cons of adopting gender quotas. The study concluded that such measures must be based on realistic/achievable fractions of relevant groups and numbers, they must be accompanied by powerful incentives and/or sanctions, and they should be reached as an average over a specified period, for example, a 3-year window and may only be necessary over a limited period of time. Lastly, since Elsevier Connect is particularly well suited to drawing attention to developments of global interest, this is a good place to mention two additional contributions to the GS7 programme: one involves the plans for the forthcoming Gender Summit events, and the other the plans for linking Gender Summits with the implementation plans for the Sustainable Development Goals. Upcoming Gender Summits: Plans include the Gender Summit 8 – North America, which will take place in Mexico City on April 28-29, 2016; the Gender Summit 10 – Asia Pacific, which will take place in Tokyo in April/May 2017; and the Gender Summit 11 – North America, which will take place in Montreal in November 2017. To promote the inclusion of gender in the UN Sustainable Development Goals (SDGs), Women in Science, Engineering and Technology (WISET), the lead partner of Gender Summit 6 – Asia Pacific, announced that with the help of 27 international experts, the first in a series of reports promoting gender research relevant to the implementation of each SDG will be published this month. Finally, there was another important reason GS7 was held in Berlin: the opportunity to link the Gender Summit with the Falling Walls Conference, the annual event to mark the fall of the Berlin Wall and “breaking barriers in science.” I was delighted to be asked to serve on the judging panel in the competition for the best young scientist/innovator/entrepreneur as part of the Falling Walls Lab finale. It is my great pleasure to report that the three winners selected from the 100 finalists are women. In first place is Dr. Sabrina Badir of ETH Zürich; in second place is Dr. Lian Willetts of the University of Alberta, Canada; in the third place is Shani Elitzur of Technion-Israel Institute of Technology in Israel. By the way, the Falling Walls Lab competition for 2016 has already begun, so if you are a woman scientist, innovator or entrepreneur this may be an opportunity for you to shine.